From the very beginning, Jim Murphy and his partners saw the enormous potential for local food production in the Chicago area. They invested their time in creating valuable relationships with key players in the Dutch horticultural sector. They are now able to produce fresh tomatoes locally thanks to the state-of-the-art technology they are working with. 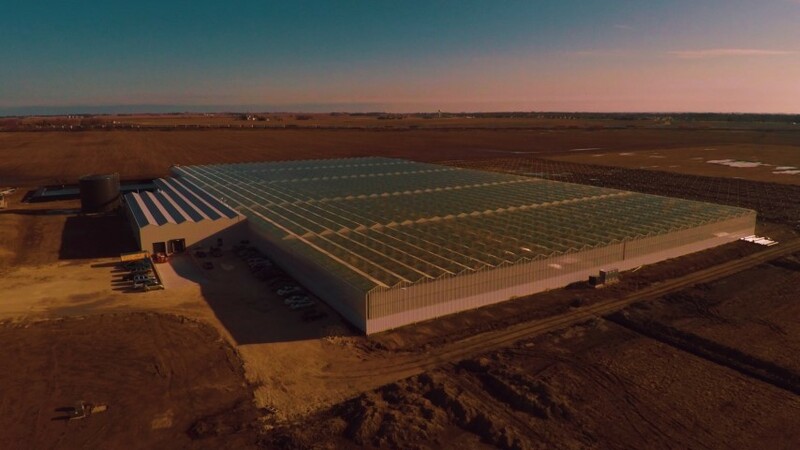 After assessing various growing locations, Mighty Vine chose Rochelle as the perfect location for setting up a 12 hectare (30 acre) greenhouse complex in order to grow a variety of tomatoes in partnership with Royal Pride Holland. The tomatoes are available year-round, and this location is just an hour away from downtown Chicago. VB is Mighty Vine's main contractor. In collaboration with Havecon and PB, a complete solution was created which incorporated all the latest cultivation technologies. The white-coated greenhouse is equipped with diffused glass as well as a high-pressure misting system to allow for optimal growing conditions during the summer. 1000W growing lights and the right heating system allow for cultivation to continue even during very cold winters.